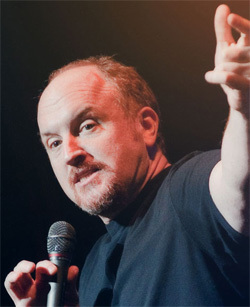 Near the end of 2011, folks got excited about the digital release of a concert film by comedian Louis C.K., which you could download directly from his website for just $5—so excited that, within days, he’d earned $1 million in gross revenue from the project. It was a prominent example of something that’s been going on, though mostly on a smaller scale, in the digital book world, as authors like J.A. Konrath and Lee Goldberg are moving away from their previous deals with publishing companies to self-publish or enter into new arrangements with Amazon, while an up-and-coming writer like Amanda Hocking could go straight to the self-publishing option and sell a million ebooks with no track record among readers, strictly on word-of-mouth (and can’t-resist low prices). I’m not a stranger to this territory; before I turned Getting Right with Tao into a print-on-demand paperback and e-book, I let folks download it for free from this website. And while I’ve been happy with the reasonable success of that book over the last two years, I’ve always known that much more was possible. And, in recent months, I’ve started thinking seriously about what my next steps were going to be. Mike Monteiro’s “10 New Year’s Resolutions for Designers” offered a lot of inspiration; although I’m more verbal than visual, I’ve certainly had to think about the principles of great design since I launched Beatrice back in 1995, and the principles Monteiro discusses hold true across the spectrum of creative endeavor. Finding better problems to solve, learning to stop being your own obstacle, and staying curious enough to explore new avenues—these are the kinds of issues that I’ve been grappling with lately, and I think I’m starting to come up with some exciting answers. While all this has been going on, I’ve also been taking another look at my friend Jonathan Fields’s Uncertainty: Turning Fear and Doubt into Fuel for Brilliance, as well as picking up the just-released The Circle Maker: Praying Circles Around Your Biggest Dreams and Greatest Fears by Mark Batterson (who I’ve only met once, but greatly admire). These two books take different paths, but they’re addressing the same core problem: Whether you think of it as second-guessing yourself or second-guessing God, you need to stop the second-guessing and start the leaps of faith into projects that can change the world. And I say “you,” but I mean me, too.